Now, however, our electronics are smaller and more mobile than ever, allowing us to take everything from phones to GPS devices to laptops with us when we venture into the wild. Many people do just that, and, depending on your point of view, it typically isn’t a problem. Until you leave the campsite unattended, that is. Securing your site wasn’t quite as big a deal when all you had to worry about was a pile of camping gear. But, leaving thousands of dollars’ worth of electronics behind? That’s a different story. Lock things up in your car. A car offers more security than your tent, which can be slashed open in an instant. Pick a well-concealed spot where you can keep items out of plain sight, and then let everyone stash a few things there as needed. Raise the alarm. There are devices available now that allow you to set a campsite perimeter that will sound an alarm if an intruder (human or otherwise) enters your space. Keep in mind, however, that this won’t do much good if you are miles away on a hike. Make friends. Talk to the people at neighboring campsites. If they feel trustworthy, you can make a deal to keep an eye on things while the other group is gone and vice versa. 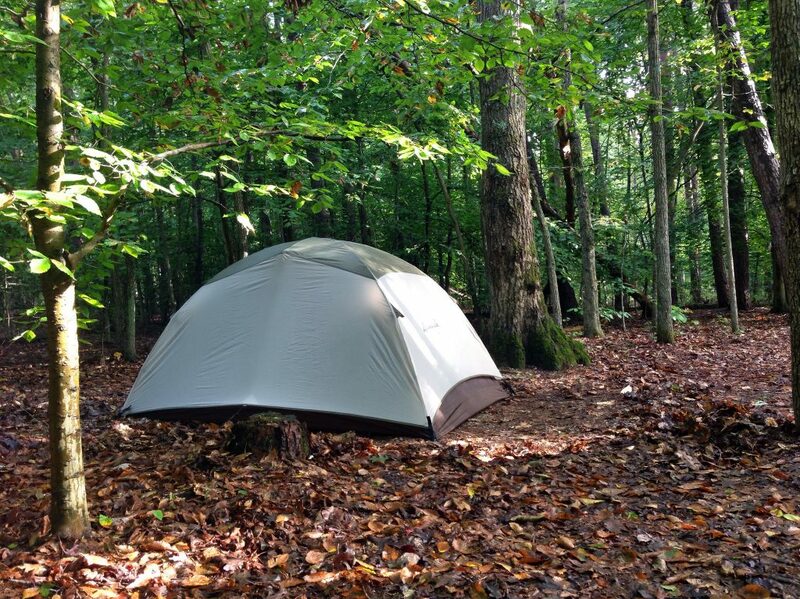 Besides, camping is more fun when you meet new people – so, go introduce yourself. Who knows, you might make a connection that lasts longer than just one trip. Do your research. Talk to staff at the campground to get the lay of the land. Have they had any unusual problems lately? Have unfamiliar people been coming around? Campers who have been at the site longer than you can be a good source of information as well. And, be sure to alert people to any problems you experience, because keeping the campground informed can help everyone stay safe. Watch for animals. The animals couldn’t care less about your laptop, of course. But, they do care about your food, and they might just damage things at your campsite while they’re looking for something to eat. Keep your site clean, and don’t leave food, garbage, utensils or even coolers out. And, certainly don’t feed the animals intentionally. Know what you’ve got. Forgetting that you brought something means that you’ll probably forget to lock it up, so keep a list of all your equipment. That way you can check it off when you leave and make sure you haven’t lost anything. Better yet, leave the gadgets at home. You could be looking at the stars; do you really need to watch a movie on your tablet? The whole point of getting outdoors is to experience the outdoors – not to experience your email by the campfire. Try to use your trip as a chance to disconnect. You’ll probably end up more refreshed and more productive once you get back to the real world. And, remember, a thief can’t steal something that isn’t there. Top image by Flickr user Mrs. Gemstone used under Creative Commons Attribution-Sharealike 2.0 license. Image cropped and modified from original.